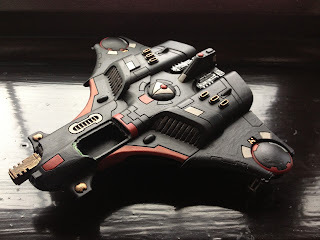 Being as I am the sort of person who likes 40k flavour but also completely ignores it when designing armies should it get in the way, the idea behind Saim-Hann Eldar seemed cool (Celtic influenced Wicker-Man style cult Eldar bikers who think if it doesn't have an engine it's not worth taking) but I wanted to make it my own thing. So I decided to make an army based on the Saim-Hann theme, tentatively called Craftworld Saim-Hradh in keeping with the general "pick a festival or season from Gaelic religion" thing the Eldar have going for them in naming terms. It's going to have the same general "rules" of building a themed army (lots of bikers, lots of tanks and other fast units) but with a tiny bit of flexibility, mostly because there's too many cool Eldar models I want to own like Wraithguard, Rangers and Harlequins. As to why I entered the Tale of VIII Gamers? It's to slow me down and help me structure the building of this army a little better than I usually would. For my previous two armies, now sitting at 2,750 points of Iron Warriors-inspired Chaos or thereabouts and about the same of Tau, I bought things that looked cool, painted them furiously to get them playable and then ended up with vast amounts of stuff that I never used such as a single XV9 battlesuit, a unit of Warp Talons and converted jump pack Chaos Lord and so on. With the Eldar I decided it would be different. The collection began with a guy at my local wargaming club selling an unbuilt, still-in-box Eldar army to me which I bought in two lots; the first was 2 Vyper jetbikes and a pile of bikers with selected Dark Elf conversion bits to make them into a Seer Council. 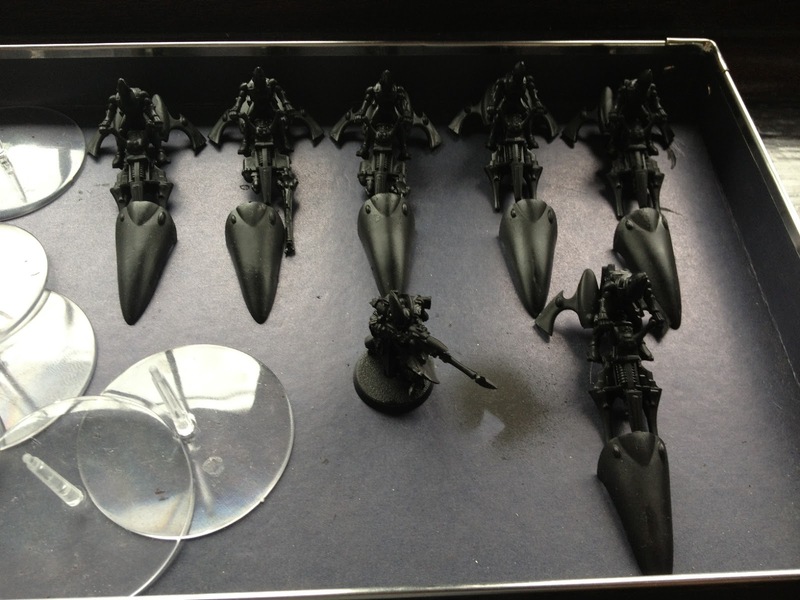 The second was 2 units of 6 jetbikes and a 13th biker who is currently going to be either an Autarch or another Warlock. To this I've since added a Fire Prism and a unit of Rangers to bring it up to a balanced 1,000 point list, and begun what to me is the equally important part - naming and devising a story for the army. I find - as do many at my club - that it's more fun to have a game come down to the grudge match between (for example) "Greenbeard the Pirate and the Apostate Vogler," rather than just "an Ork Boss and a Chaos Lord." What the monthly progress of the Tale of Gamers will let me do is build units slowly and carefully, focus on trying things I might not normally (building up highlights rather than cheating with washes and drybrushing, for example) and most of all keep Warhammer a source of joy. What I aim to get painted this month, to the best of my abilities, is A Unit of 6 Jetbikes, and some converted biker character (either Autarch or Warlock). As a bonus goal, I want to finish painting this Tau Barracuda.